derived solely from love and light. minds like two scorpions in a bottle. for that sweet taste of victory. and light still raging on inside. if you must – go ahead. Well, just eating fruit from trees didn’t seem to work out so well for some couples! To me, this is a very interesting poem of artists living together. I don’t know if I have that right, but that problem of the contemplative and recorded life is a difficult one for a couple I think –for any relationship –and to me you’ve gotten it down very well. 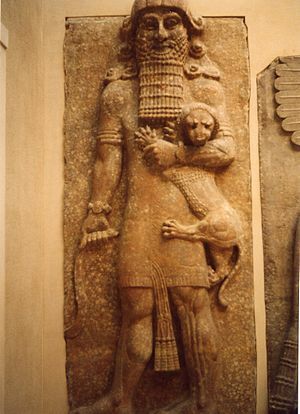 Those middle eastern sculptures are about my favorites–Assyrian too–something so vivid and present. Much enjoyed. k.
Reblogged this on Runaway WildChild. What a fabulous poem to contemplate! Creativity and complexity go hand in hand. The references in this poem are wonderfully rich, David. If there was no darkness, how would we know what light is? We need both, despite the fact that we find one less comfortable than the other. ps I came here to say I like your new gravatar with the eye, completely forgot though! From the first line, this poem is rich and rewarding to read.